ChiroThin: Is Medically Supervised Weight Loss For You? 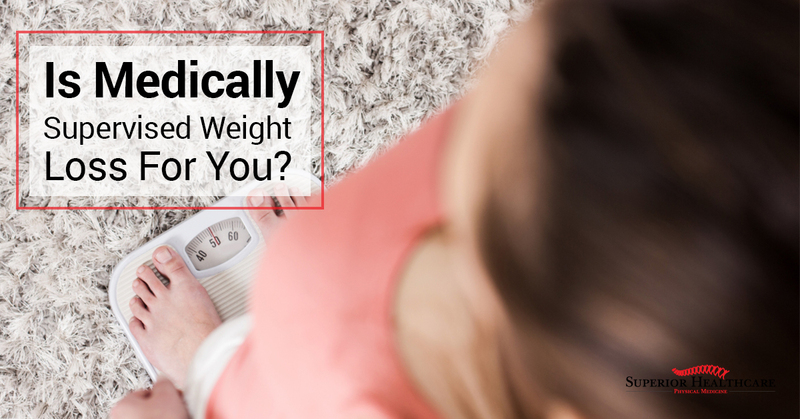 Is Medically Supervised Weight Loss For you? It is easy to get caught up in all of the before-and-after photos, the claims of easy, permanent weight loss, and the desire to find the fastest and most painless solution. The fact is, that losing weight is not easy. By the time you’ve gained, and lost, and gained again, you’ve trained your body to eat more and retain more fat from what you eat. So, it becomes harder and harder to lose the weight. If this is the situation you are in, medically supervised weight loss, like the ChiroThin program, may be right for you. One of the primary benefits of programs, like ChiroThin, is that your weight loss journey is supervised by a physician who is responsible for keeping you healthy above all else. They’ll customize your program based on your unique health needs. If you are suffering from Type 2 Diabetes, for instance, the program your doctor recommends is going to be different than their patients suffering from thyroid problems or other issues. Your commitment to your health must be lasting. If you are looking for a quick fix, this isn’t going to be it. Once you’ve lost the weight, you’ll need to maintain a healthy diet and exercise routine, or the weight will come right back. Remember, if you’re fighting years of yoyo dieting, your body is predisposed to gaining weight and fighting to keep it on. The problem is progressive, and if you gain the weight back again, it will be even harder to lose it next time. That’s why it is critical to have the medical and emotional support that you need. And, the team at Superior Healthcare is here to ensure that you get just that. With our support, and your commitment, your chances of success are very good. Once you’ve started down your path of permanent weight loss with the ChiroThin program, you’ll need to assess your lifestyle. It is important to understand what may trigger a backslide, and to do everything in your power to eliminate those triggers while you are losing your weight. That way, once you’re ready to enter the lifelong maintenance phase of your program, you’ll be set up for success. If your primary objective to lose weight is to look better in a swimsuit, or to fit into your skinny jeans, your chances of success aren’t as good as if you were focused on your health. While we agree that looking better is important, and can be a great motivator to keep weight off, it is less effective in motivating weight loss than you may think. It can actually cause a backslide. If it is taking longer to get into those jeans than you want, you could get discouraged and go back to your old habits. Our entire team, here at Superior Healthcare, is here to help you on your path to wellness. If you would like to explore the ChiroThin weight loss program, please come and see us. We’re here to help.